Earn 500 TerraCycle® points by sending us your toothpaste tubes, caps, toothbrushes and their packaging! To celebrate the recent launch of The Colgate® Oral Care Recycling Programme, TerraCycle® and Colgate® are excited to launch this amazing bonus for all the members of the programme. Earn 500 TerraCycle points by sending us your toothpaste tubes, caps, toothbrushes and packaging! 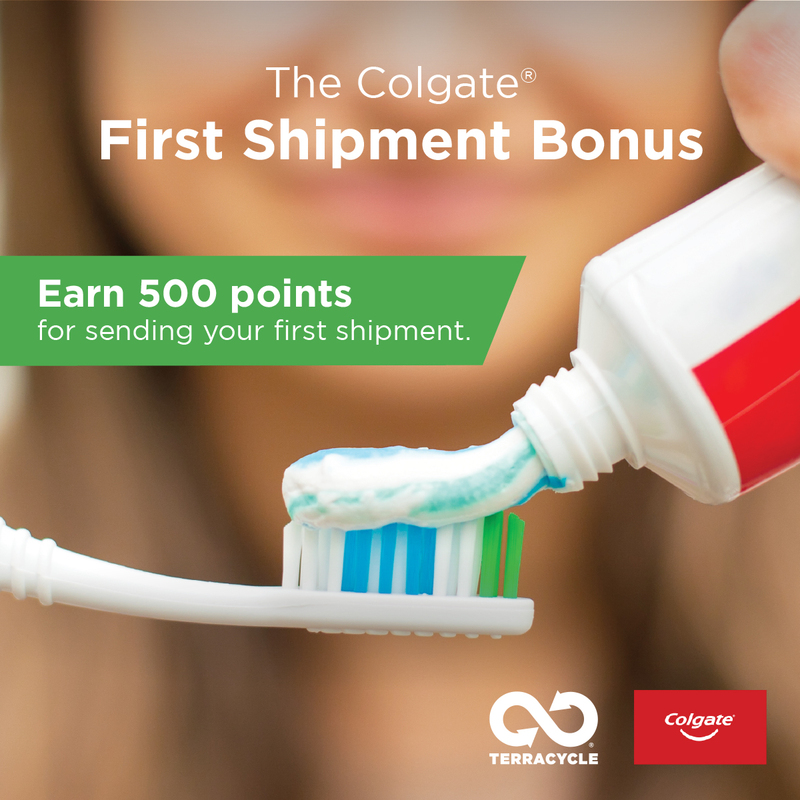 Collectors who send in their first shipment of toothpaste tubes, caps, toothbrushes and packaging between the 11th of February 2019 and the 12th of April 2019 will receive 500 TerraCycle® bonus points* on top of their points earned by the shipment weight (minimum shipment weight to earn points is 200 grams). 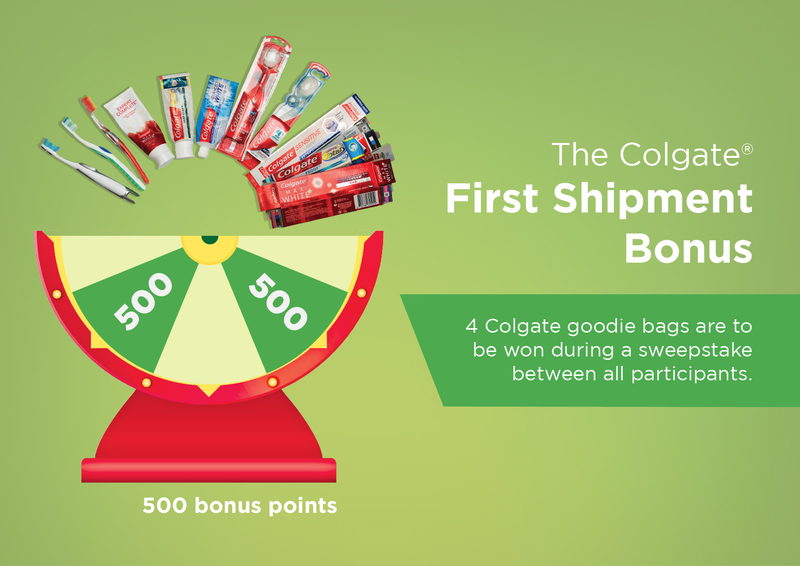 On top of that, all participants in the contest will be entered into the sweepstake to be in with a chance to win one of 4 Colgate® goodie bags! * 1 TerraCycle® point is worth £0.01. We would like to point out that the official dates of this contest correspond to TerraCycle®'s shipment receipt dates. TerraCycle® will therefore take into account all of the parcels that have been received at our warehouse between the 11th of February 2019 and the 12th of April 2019. We therefore advise you to send your last parcels no later than the 29th of March 2019 for these to be counted in this contest. To find out how to send toothpaste tubes, caps, toothbrushes and their packaging , please take a look at the programme FAQs.